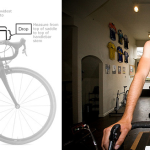 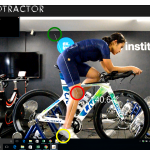 Whilst we recognise there is limited scientific evidence as to ‘what is the best fit’ there are numerous studies that outline what might offer better solutions for individual cyclists. 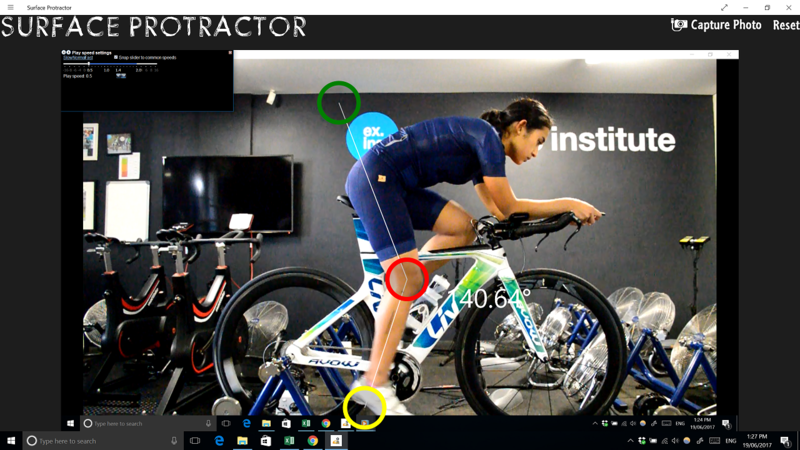 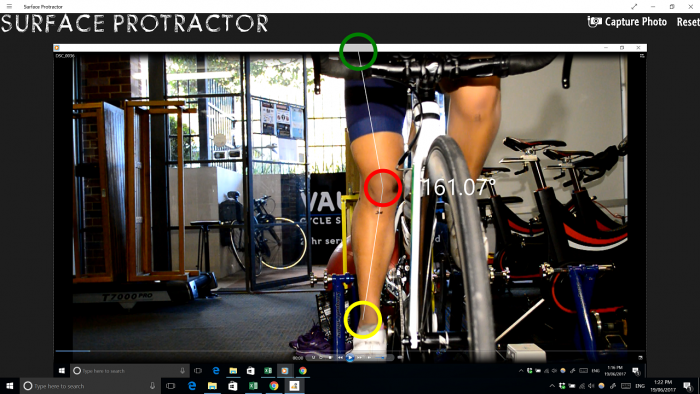 We believe this stands us apart from many other bike fitting systems. 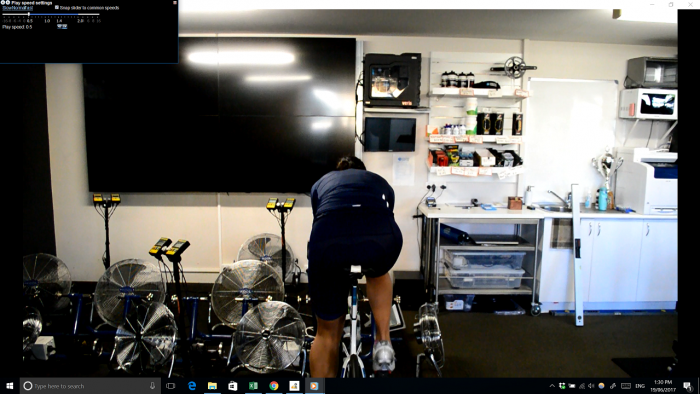 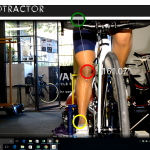 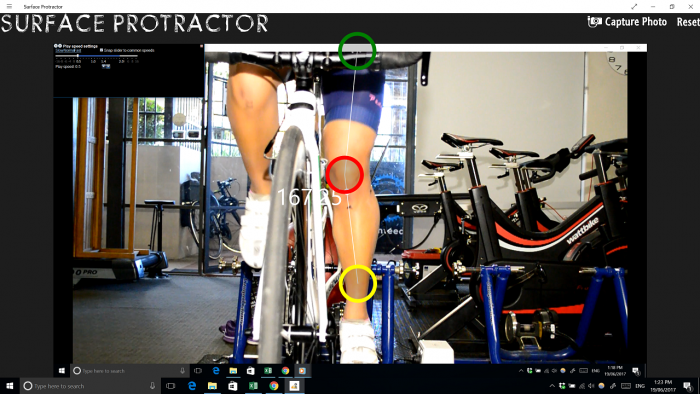 Knee angle BDC frontal plane right, 19degrees is outside normal range, rider is predisposed to patella mal-tracking. 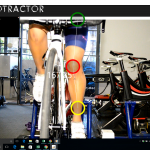 Abnormal knee motion (not straight/figure 8) also noted during pedal cycle. 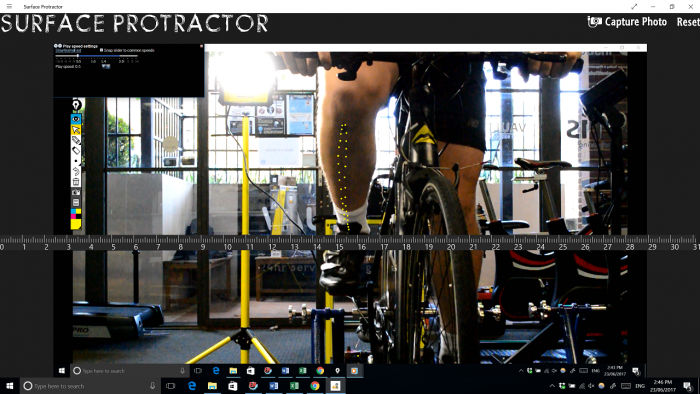 May be associated with excessively pronated foot posture seen during musculoskeletal exam. 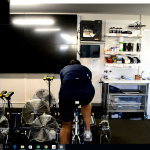 Difficult to see in image, rider sitting off left side of saddle. 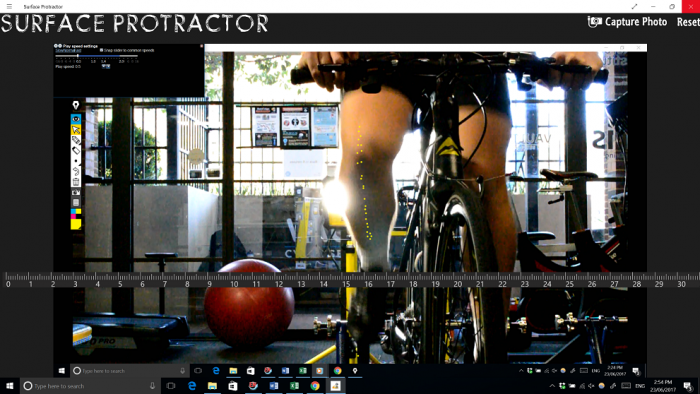 Limb length discrepancy (left shorter) noted during musculoskeletal assessment. 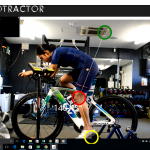 Sitting off left may be a compensation resulting in no difference seen between sagittal knee angles L & R.
Our fitting system can also use orthotic devices, cleat wedges and cleat lifts to outline a better pedaling symmetry and comfort for individual cyclists. 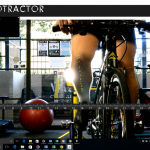 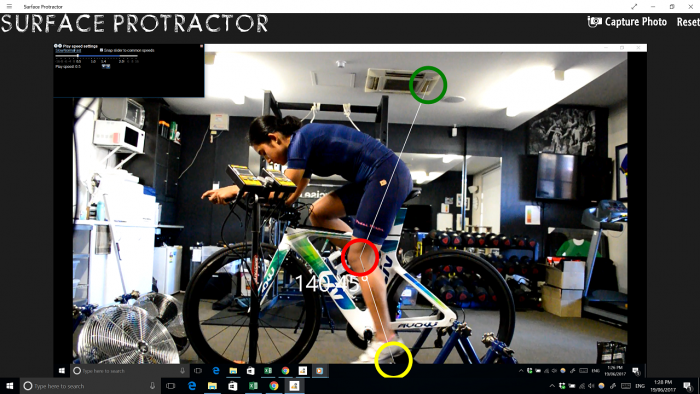 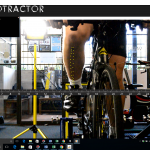 Below you can see the yellow dot trace of the knee through the pedaling cycle, the first and second images highlight knee tracking (yellow dots) through the up and downward phases of the pedal stroke.